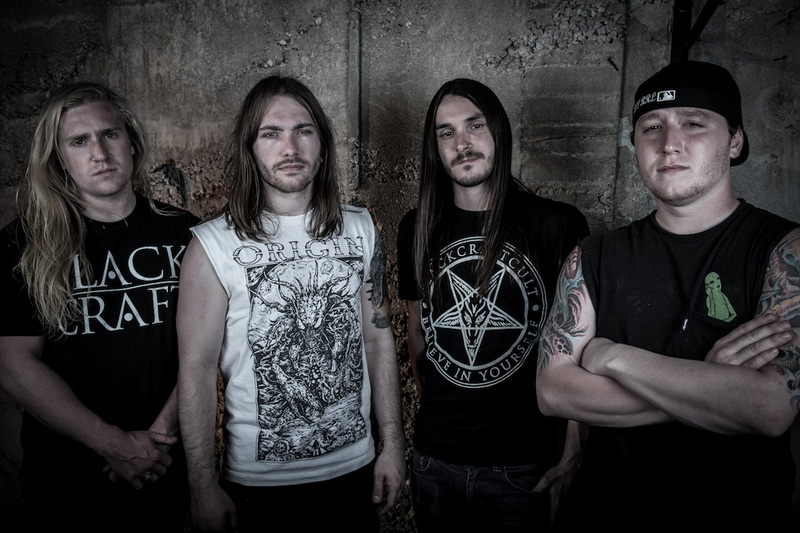 Self-proclaimed “alien deathcore” band Rings of Saturn return to the scene with their fourth full-length album ‘Ulta Ulla’, which is also their first under their new label Nuclear Blast Records. 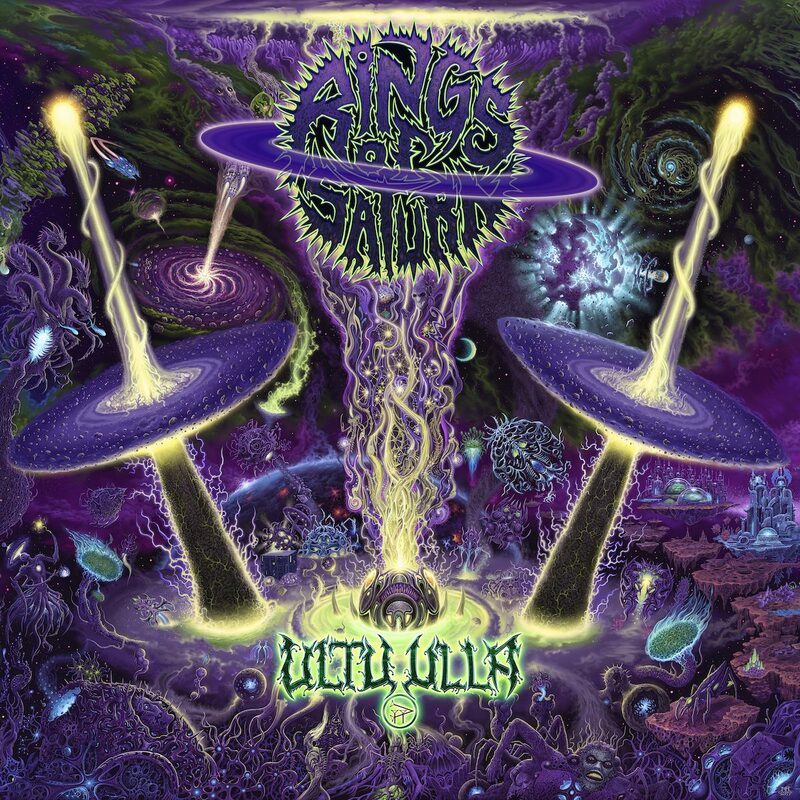 Known for their otherworldly technical precision and brutality, Rings of Saturn once again continue to push the boundaries of the genre and blaze forward with what is quite possibly their most polished and precise album to date. With the help from talented newcomers Miles Dimitri Baker (guitar) and Aaron Stechauner (drums), founding member Lucas Mann was able to create some of the most well-composed Rings of Saturn songs yet in terms of technicality, composition, and sheer-brutality. While ‘Ultu Ulla’ sounds and plays like a true ROS record, the introduction of new sounds that haven’t been explored on previous albums showcases the band’s ability to progress with every release, putting them in a league of their own. Album opener ‘Servant of the Sentience’ is a staple Rings of Saturn number that sets the tone of the record while also displaying all the aspects of the band that fans have come to love: extremely fast-paced riffage with near-impossible harmonies, crazy fast precise drumming, and the intense vocals of frontman Ian Bearer. With the inclusion of Miles Dimitri Baker, the leads on the song and most of the album seem take on a neo-classical/melodic death metal feel that hasn’t been in prior albums but is a welcome addition to the already diverse ROS sound. What is perhaps most notable about this record that fans and people new to the band are the instrumental classical guitar interludes that appear throughout the record. On its own, the completely instrumental track ‘Unhallowed’ is beautifully and masterfully composed. But in the context of the entirety of the record, I feel it hinders the overall flow of the album and loses some of the intensity that was being built up. That isn’t to say that this new direction has no place in ROS, as it is shown to work great in the song ‘Macrocosm’ — arguably the most diverse song on the record — as well as in ‘Inadequate’, the pre-release single representing the record. Amid all these new soundscapes being brought forth onto this album, fans of the more straight-forward heaviness that ROS is known and loved have no need to be concerned, as it still has a strong presence on album. ‘The Relic’ and ‘Margidda’ are frantic technical deathcore songs that are insanely heavy yet catchy. I’d even go so far as to say they are some of the best songs ROS has released since their debut album ‘Embryonic Anomaly’, largely due in part to the amazing harmonic riffing between Lucas and Miles, as well as the banger riffs. While the majority of the songs themselves are great, there are two big contributing factors that played a vital part in making these songs stand out so much: Excellent/appropriate production and real drums. ROS has been the center of unfortunate attention due to the “half-speed” recording rumor that circulated around the web these past few years. To silence those voices, and prove once and for all they are all the real deal, ROS has released many playthrough videos of their current and old songs. While this doesn’t necessarily mean the songs are automatically better by default, it certainly leaves a greater impression knowing these extremely talented musicians tracked these ridiculously technical songs. Overall ‘Ultu Ulla’ is a Rings of Saturn record that doesn’t stray off the beaten path, but it does act as a doorway in which they could potentially make a stylistic shift in their sound in the future. From the classical guitar sections to the neo-classical/melodic death metal leads and harmonies, Rings of Saturn displayed they could still incorporate more styles into their already alien-like signature sound. They definitely upped their game for this release and proved to the extreme metal scene that they aren’t a one trick pony, leaving us all to wonder just how far into the cosmos can this seemingly extraterrestrial band can go.